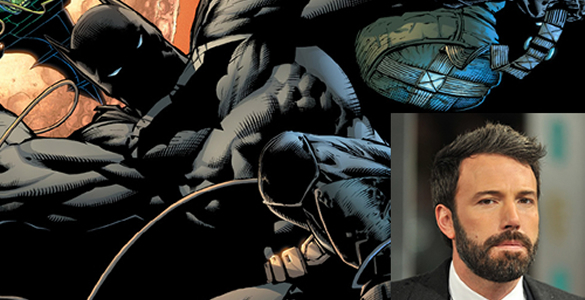 Movies.com > Movie News > Comics on Film: What Should Batman Look Like in the New Film? Comics on Film: What Should Batman Look Like in the New Film? Now that we have some distance from the shocking casting announcement of Ben Affleck as Batman, people are starting to settle into their opinions, and a lot of people seem to be getting excited about the possibility (which, I feel, is the appropriate response). In true comic book-fan fashion, many Batman devotees have turned their attention away from the man who will actually be playing Batman in 2015’s Man of Steel sequel and toward an issue of perhaps equal importance: the suit. Some rumors have emerged as to what Batman’s costume might look like in the film where he faces off against the Man of Steel. We also have a few recommendations that could fit inspired by costume designs from across Batman media of the past. So, here are some directions that the new film can go in giving us our new Dark Knight, that could look good if translated into real life. The first two video games in the Batman: Arkham franchise presented a Batsuit that looked very familiar to comic book fans, but that also had a level of detail and function that gives it a surprisingly realistic vibe coming from a video game superhero costume. One of the hardest things to pull off in transitioning Batman from the comics page onto the screen is doing so in a way that looks threatening, since one of Batman’s primary goals in his war on crime is to instill fear in his enemies. Because all of the angles on the Batsuit reach sharp points, the silhouette created always gives this vibe, but you also have to feel like there’s a threat when seeing Batman fully formed in normal light. Largely, the interpretation taken by the Arkham games by Rocksteady Studios does a great job with this, and is easier to approximate for a live-action look since the graphics on the games are so good. 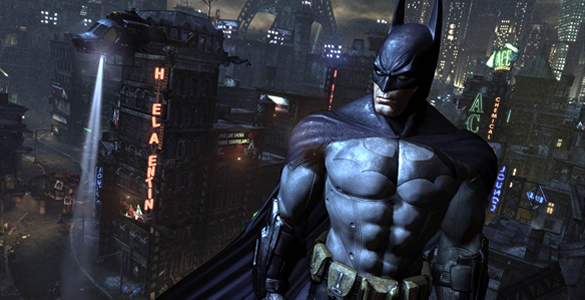 Could these games hold the key to a Batman that occupies the same world as Superman on film? 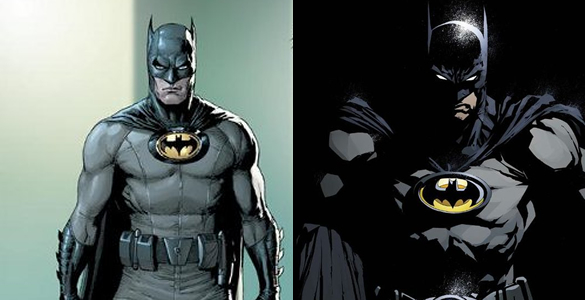 The two costumes above may look similar, but they’re actually two different costumes from two very different Batman “relaunches.” The one on the left is the suit as seen in the Geoff Johns/Gary Frank graphic novel Batman: Earth One, which is an alternate take on the character from the ground up. In Earth One, Batman is even rather clumsy by regular character standards when he begins his crusade. 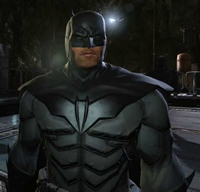 The one on the right in the above image is the suit worn by the Batman of the DC Universe proper, primarily in the Grant Morrison series Batman Incorporated, which featured the character’s return from a long absence. Both costumes have a similar color palette and include more “practical” accoutrements, like reinforced knees and elbows and a more “paramilitary” looking utility belt. Both of these could potentially help to differentiate from the Nolan aesthetic, and aim to have a little bit more surface-level “realism” applied to their interpretations. On the other end of that is Batman’s current costume from the comics, established in the 2011 DC Comics relaunch known as the “New 52.” Batman’s look there gives the costume an unmistakable impression that it’s made of a type of armor, but the level to which it would be practical is questionable. Then again, it’s definitely descended from the costumes featured in comics like Year One and The Dark Knight Returns (which the new film is “inspired” by), so it’s possible it may help the costume designers of the film decide on a final look for Affleck’s Dark Knight. The latest installment in the game franchise was recently released in the form of Arkham Origins. This game is a bit different from the previous two entries, though, as it was developed by a different studio and therefore had different designers come up with the looks of the characters. 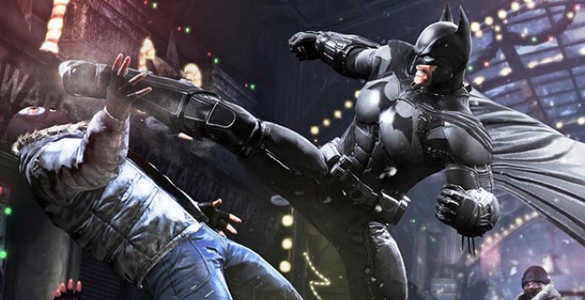 It’s also set five years before the first two games in the series, and features a Batman who’s only in his second year of crime fighting. 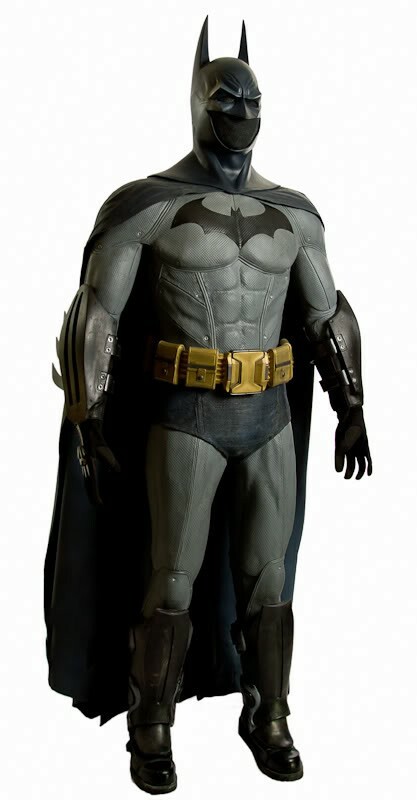 The Batsuit as seen in the game takes inspiration from costumes like the one featured in The Dark Knight trilogy as well as the previous Arkham games and specific comics, with great attention given to making the suit look as if it’s made to fight in. While this may not be the order of the day for a Batman in the film that’s supposedly “tired and weary” from a long career of fighting crime, the impetus of functionality over aesthetic may help to visualize where the new cinematic Batman’s priorities lie, in function over flash. The overt militaristic tone of the suit may also help to illustrate what Batman might look like after a long career, especially if he realizes he has to protect himself from a god in a red cape. Lee Bermejo is one of the best artists working in comics today, and whenever he’s touched Batman, it’s always been memorable. In 2011 he wrote and drew a story called Batman: Noel that was his own take on Charles Dickens’ A Christmas Carol, but with the characters of Gotham City (and one notable cameo from Metropolis). 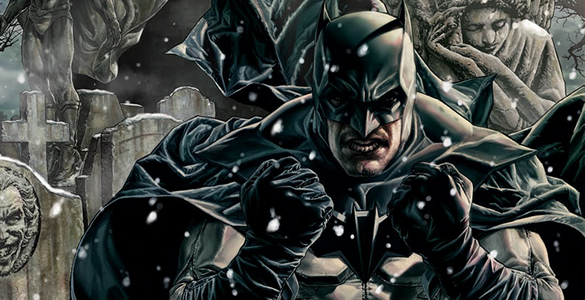 Bermejo introduced one design for Batman in all of his work with the character that is grounded in a realism matched only by Bermejo’s extraordinary attention to detail in his artwork. A slew of rumors last week indicated that Noel would be a prime inspiration on the new film, at least from the neck up. A supposed report from an “insider” says that the cowl from Bermejo’s design could possibly be the cowl that Ben Affleck dons when he begins his take on Batman, and it’s easy to see why due to Bermejo’s unquestionable artistic ability. The entire costume from Noel is also available as an unlockable costume in Arkham Origins, perhaps providing more perspective on how that costume may look in real life. What do you think? Would any of these, either in whole or in part, be a costume you’d want to see Affleck don in the new film? Do you have other ideas from comics or movies past you’d like to see introduced? Let us know in the comments which suit you’d like to see Batman wear in his new film appearance, and we’ll see you next week here on Comics on Film!